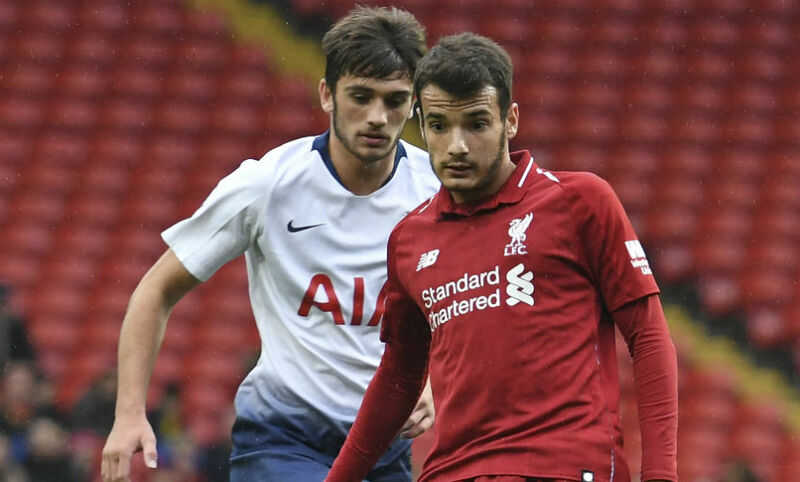 Liverpool U23s were held to a 1-1 draw by Tottenham Hotspur at Anfield on Friday night. Spurs defender Timothy Eyoma was sent off in the second minute after Glen McAuley’s goal-bound shot struck his arm, but Adam Lewis blasted the resulting penalty over the Anfield Road End crossbar. 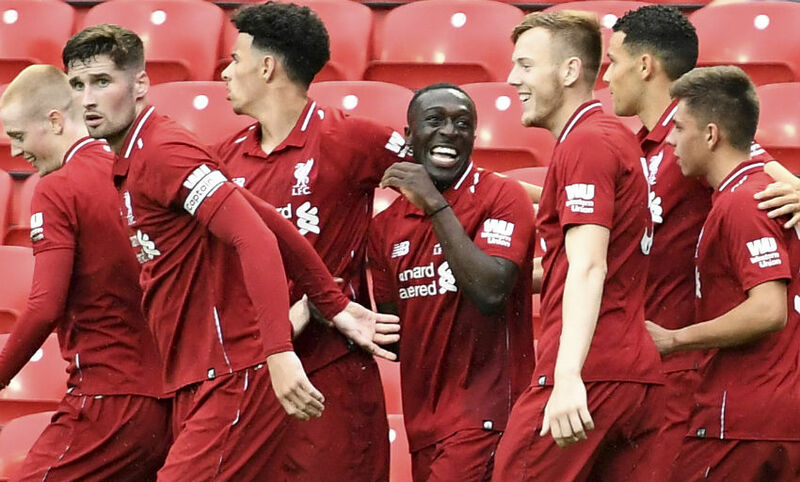 The young Reds didn’t have to wait much longer for their early dominance to yield an opener, though, as Bobby Adekanye cut inside from the right wing and drilled home. 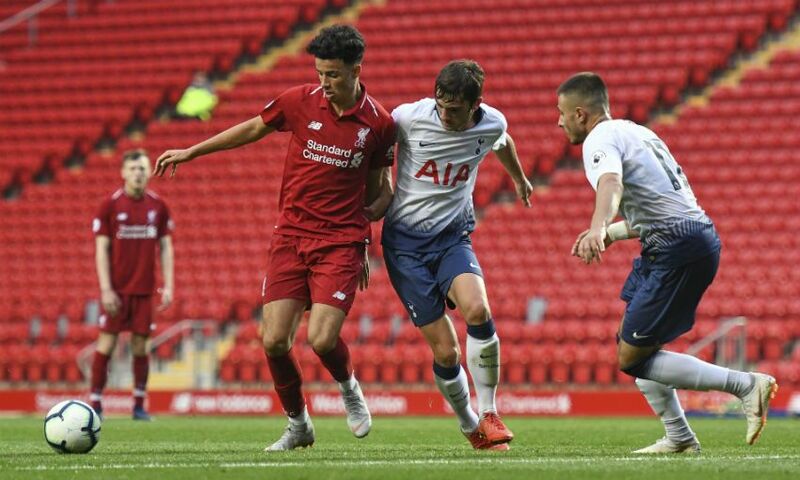 Neil Critchley’s side continued attacking forcefully in search of a second, only for Tottenham to level against the run of play midway through the half courtesy of Marcus Edwards. It was a similar story after the break, too, with the hosts in command while 10-man Spurs awaited opportunities to counter. Tottenham goalkeeper Alfie Whiteman twice denied the impressive Adekanye as Liverpool poured forward towards the Kop, while Caoimhin Kelleher also played his part at the other end by preventing Edwards from snatching a second for the visitors. And Whiteman was on hand yet again to smother Matty Virtue’s injury-time attempt, with the young Reds having to settle for a second successive draw at the start of their Premier League 2 season. Curtis Jones had already forced Whiteman into a save prior to the penalty award and Eyoma’s subsequent dismissal amid a frantic opening to the game. The Spurs ‘keeper then spilled Lewis’ searching cross and the lively McAuley reacted quickest to fire goalwards, only for Eyoma to stop the striker’s effort with his arm. Left-back Lewis stepped up but powered his spot-kick over. Whiteman was again called into action soon after as Adekanye surged clear after latching on to Isaac Christie-Davies’ raking pass, with the Tottenham stopper winning the first round of an individual duel that would ensue throughout the contest. However, Adekanye did beat Whiteman in the 14th minute to give Liverpool the lead their early supremacy merited. The referee overruled his assistant’s flag as Jones’ pass had inadvertently found its way to McAuley via a deflection, and the No.9 played it wide to Adekanye. The 19-year-old took the ball onto his left foot and saw his low effort nestle in the near corner. Only a superb last-ditch block from Jaden Brown prevented Adekanye from quickly doubling his tally, but Tottenham’s first attack of note brought about an equaliser, as Edwards drifted away from Lewis and finished past Kelleher. Virtue’s tenacity in midfield enabled him to feed the omnipresent Adekanye as Liverpool sought to restore their lead, but the forward dragged his attempt wide. Whiteman again foiled Adekanye early in the second period before Kelleher did brilliantly to repel Edwards during a rare foray forward from the visitors. Liverpool continued to probe for a winner, but an inspired Whiteman kept them at bay to claim a hard-earned point for his team. Liverpool U23s: Kelleher, Whelan, Phillips, Johnston, Lewis, Chirivella, Christie-Davies (Coyle), Virtue, Adekanye, Jones, McAuley (Millar, 65). Unused subs: Atherton, Masterson, Gallacher.